Price Includes Free Shipping in Canada and All Canadian Taxes Included. *** Liner length must be in increments of 5'. 45mil EPDM fish safe pond liner, the industry standard. Fish-safe Firestone liners are the toughest liners available. 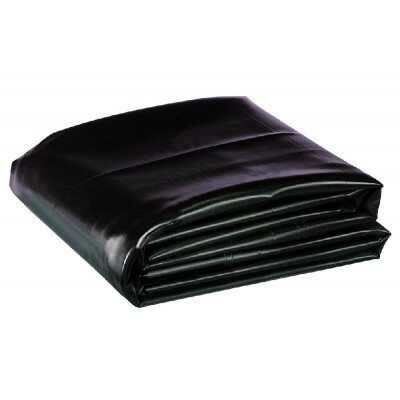 Don't take chances with cheap pond liners, these heavy-duty EPDM liners will gaurantee your pond will last for years. In the Available Options choose the liner width you want. Then, enter the number of feet long you need in the quantity box marked Qty:. ***Liner length must be in increments of 5'. How about a bigger pond? High Flexibility: We use fish safe 45mil EPDM geomembrane Liners thatremain extremely flexible even at very low temperatures (down to –45 °C), enabling year round installation in a variety of climates and terrain. High elongation: Our EPDM geomembranes have a high flexibility allowing the membrane to stretch and conform to objects in the subgrade. Perfect for small ponds and large industrial applications. 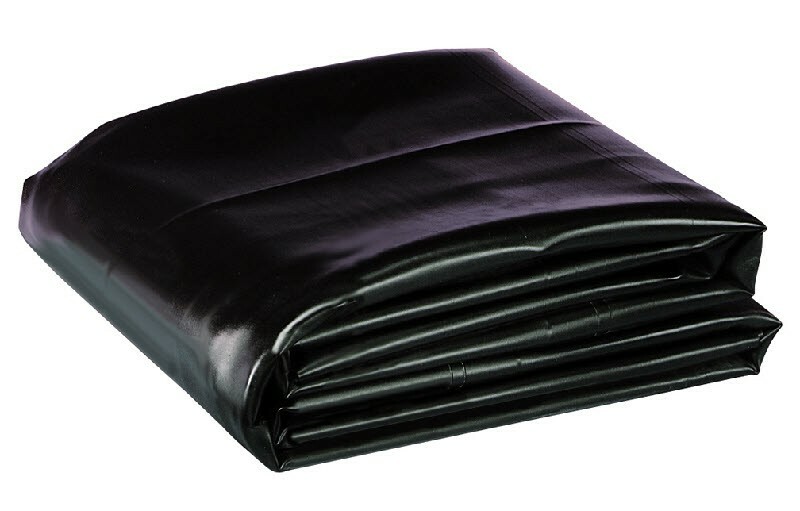 Superior weathering resistance: Our EPDM pond liners offer unmatched resistance to UV radiation from the sun as well as ozone. 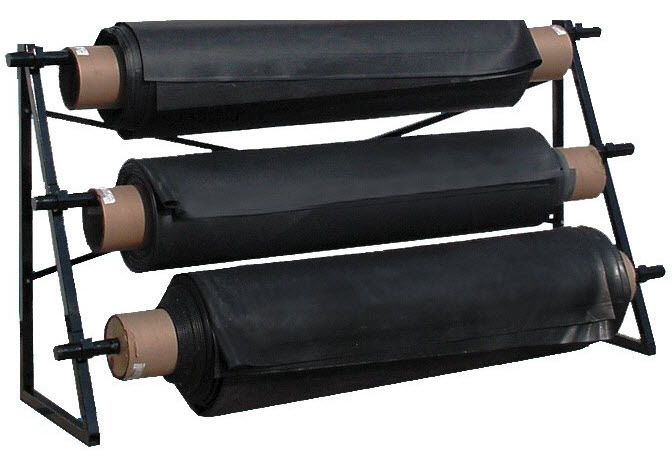 Quick and easy installation: Our EPDM liners are available in large seamless roll sizes. We can also provide custom EPDM liner sizes for larger jobs resulting in fewer field seams and less installation time. Low maintenance: Our EPDM Geomembranes require little or no regular maintenance after installation. The geomembrane can survive normal environmental exposure for well over 30 years and when installed according to best-practices has a manufacturer guarantee over 20 years. Environmentally friendly: Our EPDM liners are fish safe. We can also provide industrial liner for larger applications in Atlantic Canada.